Fiscal policy is the use of public spending and taxation to impact the economy. Public spending means government spending. National governments use fiscal policy to encourage strong and **sustainable growth. In other words, to achieve full employment and reduce poverty. ** Sustainable growth is growth that can continue over the long-term. In other words, no serious problems that can damage the economy will emerge. The aims of fiscal policy have gained prominence since the 2007 global financial crisis. Governments stepped in to support financial systems, stimulate growth, and minimize the impact of the crisis on vulnerable groups. The prominence of fiscal policy as a policy tool historically has fluctuated. Up to 1929, a laissez-faire approach – minimal government intervention – dominated North America’s and Western Europe’s economic scene. People who believe that fiscal policies are crucial for economic regulation are ‘fiscalists‘. When all is fine, the government will likely adopt a neutral fiscal policy. During a recession, however, it will probably prefer an expansionary fiscal policy. When the economy is overheating, it will adopt a contractionary policy. The Wall Street Crash of 1929 and the subsequent Great Depression dramatically changed how leaders and governments intervened in their nations’ economies. In fact, in the United States and the United Kingdom, the change was dramatic. In the 1930s, policymakers pushed for governments to do more to kick-start the economy. During the 1980s, governments across the world scaled back the size and function of governments. In that decade, markets started taking on an enhanced role in the allocation of goods and services. Since the 2007-2008 global financial crisis, a more fiscal policy was back in fashion. In other words, government intervention returned. When politicians influence the economy, they have two main tools at their disposal; fiscal policy and monetary policy. Monetary policy is the main focus of a nation’s central bank. It involves regulating interest rates, i.e., effectively regulating the cost of borrowing, and the money supply. The US Federal Reserve, the Bank of England, and other central banks manage monetary policy. They do so to control inflation and stabilize their currency. Put simply; they use monetary policy to ensure that the economy is following the right path. Fiscal policy refers to government spending policies that impact macroeconomic conditions. Governments carry out policy through public spending. Government borrowing and the collection of taxes also form part of fiscal policies. Through fiscal policy, governments attempt to bring down unemployment, stabilize business cycles, and influence interest rates. Additionally, in times of recession, they adjust their policy to kick-start the economy. By boosting public spending and reducing taxes, aggregate demand will increase, and the economy will grow, Keynesian economists believe. 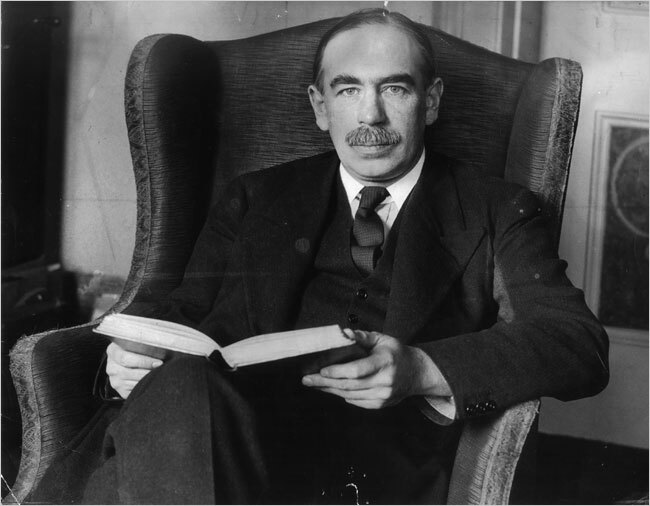 Fiscal policy changed considerably when John Maynard Keynes, (1883-1946), an English economist, came onto the scene. He fundamentally changed the theory and practice of macroeconomics and the economic policies of governments. Keynes believed that the government could change economic performance by adjusting tax rates and government spending. His ideas are the basis for the school of thought we call Keynesian Economics. According to Keynes, when the government alters the levels of taxation and government spending, it influences aggregate demand. This subsequently changes the level of economic activity. Keynes said we could use fiscal policy to stabilize the economy over the course of the business cycle. Put simply; he believed it could prevent the undesirable boom-and-bust economic cycle. Second, changes in government spending. Aggregate demand and economic activity levels. Savings and investment in the economy. There are three main stances of fiscal policy – neutral, expansionary, and contractionary. Governments follow this policy when the nation’s economy is in equilibrium. In other words, tax revenue completely funds government spending. Governments also adopt this policy when the budget outcome has a neutral effect on economic activity levels. This is when the government spends more than it collects from taxation. Governments adopt this approach when the economy is in recession. We also call it a reflationary fiscal policy. Governments take this approach when their expenditure is lower than their tax revenue. They aim to pay off government debt. Even if spending or tax laws stay the same, cyclic fluctuations in the economy may cause tax revenues to go up or down. This will subsequently affect some types of government spending, which in turn can alter the deficit situation. We do not consider these factors to be policy changes. We use the terms ‘expansionary’ and ‘contractory’ in both monetary and fiscal policies with the same meanings. The benefit from printing money (Seigniorage). Borrowing money by issuing securities, government bonds, and bills. Less creditworthy nations might borrow directly from the World Bank or other international financial institutions. Consumption of fiscal reserves, i.e., dipping into its savings. Keynesian economics suggests that greater government spending, accompanied by lower tax rates, are the best ways to boost aggregate demand. When the economic boom starts, we must subsequently reduce spending and raise taxes. Keynesian economists say we should use this approach when there is low economic activity. We can also use it during a recession. The aim is to achieve full employment and build the framework for strong economic growth, they say. In theory, the resulting debt build-up would be paid for when the economy expands and government income increases. Republicans in the USA and Conservatives in the UK dislike Keynesian policies. They say that all they achieve are high debts plus no growth. Keynesian policies go against right-of-center parties’ policies of discouraging government interference in the economy. There is a method to determine whether current fiscal policies might overburden future generations of taxpayers. We call it generational accounting. Fiscal drag occurs when earnings growth and rising prices push more earners into higher tax brackets. This happens in a progressive tax system. If their tax burdens are greater, their spending declines, i.e., there is fiscal drag. This video contrasts Keynesian and Classical thinking.